1. COFFEE : Coffee is not just a good exfoliator but also provides softer, healthier and hydrated skin and can even work towards tightening of large pores. Coffee dehydrates fatty cells, causing a reduction in cellulite and also treats puffiness and dark circles around the eyes. It has skin Brightening and skin tightening properties which helps in fighting fines lines and leaves behind a glowy face. Coffee it a great source of anti oxidants and can fight nasty rosacea, redness and skin damage caused by the harsh sunrays too! 2. MILK : None of us are unaware of the skin benefits of milk! Milk is a great all in one product, being a cleanser, toner and a heavenly moisturizer! It is a natural anti tanning, anti acne and anti ageing agent that provides a radiant glow to the skin while Tryosine in milk prevents excess melanin production resulting in a fairer skin! 1. Take the coffee in a clean and dry bowl. 2. Add 3/4th tbsp. Of milk and mix it properly till you get a fine syrup like consistency. 3. Apply the mixture on to clean face and neck, avoiding the eyes area, with bare hands or a face pack brush. 4. Let it sit for about 20-25 minutes. 5. Wet your hands and slowly Remove the pack while massaging your face in circular motion. 6. Wash your face, pat dry with a towel and follow-up with your regular skincare routine. I am personally loving this as it is damn easy to make and super effective! I love coffee. OMG that fragrance makes me crazy. I am going to love that in any way. This is such a useful DIY pack. I definitely will give it a go next week. I love making your own packs at home. Never tried one with coffee before on my face. Will give it a shot. Can’t garuntee I won’t be tempted to eat it. love using coffee on my skin! It is an instant energizer and all the ingredients are easily available! Love how coffee smells on the skin, any suggestions for skin brightening? Oh wow. 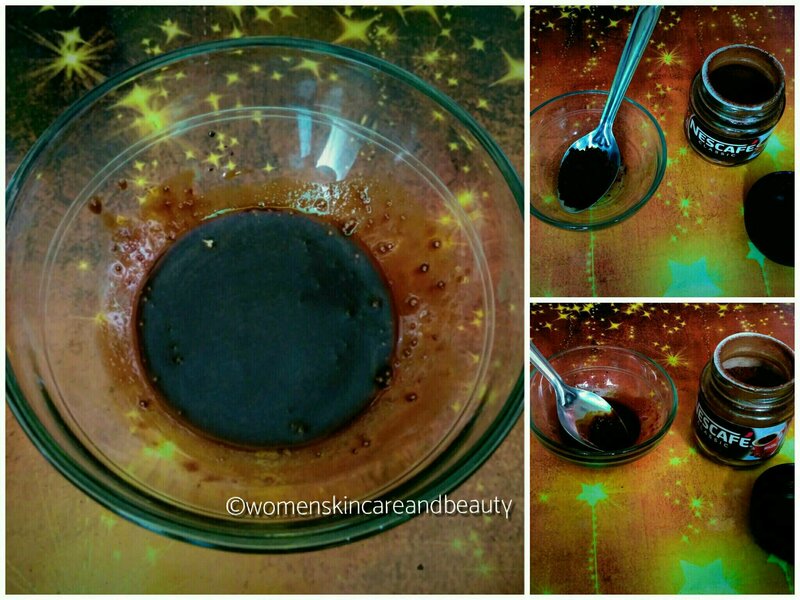 This is such a super simple yet effective DIY to feed the skin with coffee goodness! And of course it’s a tough job resisting the aroma of coffee! Coffee is my all time favorite and would love to try this innovative pack recipe shared by you. M sure to try this coffee face pack, it seems simple and the benefits are awesome. As much as DIY facial pack concern, I just love to use the ingredient Coffee. It has been a life saviour for me. I also love DIY things and this seems super simple to make . Would try it today only and let you know. Guess what i was in the mood for dome DIY masking and came across your post,im glad, would love to make this one,looks really effective. this DIY coffee face pack sounds really good. i will definitely try this one. This is a great DIY and your review surely highlights the benefits of this pack.